Ryder Cup 2018 Pointscorer Tips and Opinion this week's golf in Paris. Join Betfair and bet on the Ryder Cup now! "Their games are currently exploring parts of the course where only portaloo companies dare to tread"
In the Ryder Cup, most players wear a questionable sweater. Ian Poulter and Patrick Reed wear an aura. Away from the Ryder Cup spotlight, however, you've got to say the golfing glow of these two talismen for the European and US teams pales in comparison next to more dazzling talents. Even in his breakthrough major year, Reed has barely mustered one top-10 since June's US Open, while Poulter has only shared 10th place once since the same date. In short: in form, they ain't. And despite all the bluff and bluster of the self-styled Captain America and The Postman, don't be fooled into thinking the Ryder Cup will save them this week. Only their playing partners can. Both men have the brash machismo which grates with many of golf's old school values of understated honour. Both men give Joan of Arc a run for her money as the most persecuted heroes on earth when things go awry. And both men have rubbed their peers up the wrong way by stating they were among golf's greatest. Poulter famously claiming that it would be just "Tiger and me" when he reached his peak, while Reed's WGC breakout at the Blue Monster unleashed an ego of equal proportions: "I'm definitely one of the top five players in the world." Nevertheless, both have made the most of their talents - always an admirable trait - to fleetingly appear in the top 10 for the world rankings. There's nothing to quibble with there. Indeed, there's much to applaud. My niggle simply resides in the expectation that one or t'other will galvanise their teams to victory this week. As if they alone have acclimatised to fight in the rarefied air of this biennial battle. Fair enough, Reed qualified on merit this year. However, there was no doubt that Poults would be selected as a wildcard for the European side by captain Thomas Bjorn. Players, commentators and fans converge in the belief that Poulter is the Magic Man, the one European who can pull a rabbit out of the hat when the chips are down. He certainly waved the magician's scarf over in 2012 to produce five consecutive birdies and offer Europe a glimmer of a chance going into the final day's Singles. Poulter and his teammates, of course, seized that chance in a rousing rally which became known as the Miracle At Medinah. And the brassy Englishman was the Messiah who instigated that miracle. 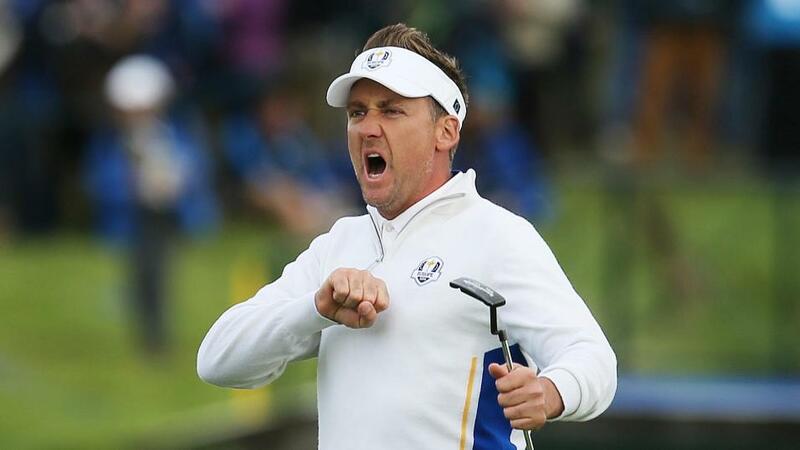 Trouble is, like Brian before him, Ian Poulter's life is not the messiah's. He's just a very lucky boy, born in the adjacent manger, who was mistaken for the Second Coming by players and media alike. What about his Ryder rep? This 42-year-old's record - won 12 matches, lost four, drawn two - provides the finest point-percentage of any European player who's been involved in at least three matches. He has also prevailed in four of his five singles games. It's all true - and no-one's happier about it than me. But he's still a long way short of the greats, and that's where he will remain. 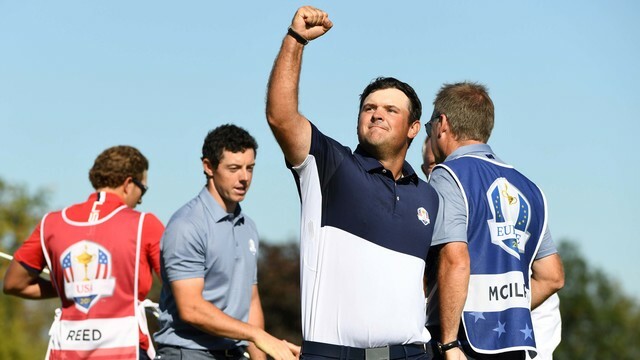 It's a similar story for Reed's impressive 6-2-1 record, which saw him go unbeaten in his two singles matches, even against Rory McIlroy in 2016. Don't get carried away. Instead, these records of results are only as beguiling as the numbers relating to the previous spins on a roulette wheel. The casino provides them, but they make zero difference to the next spin in Paris. They are simply there to delude your mind that there's some meaning in the chaos and build a story where there is none. This is the history of Poulter and Reed's supposed matchplay mastery. Sure, they are now well into the black with a string of noir numbers, but don't be fooled. This widespread notion that matchplay somehow elevates their game is complete bunkum. Okay, Poults bagged those two matchplay titles in 2010/11. However, since then he's been a regular early-stage casualty in the majority of WGC and Volvo World Matchplays. As for Reed, ever since lighting up the amateur circuit by taking down the likes of Jordan Spieth and Peter Uihlein, he hasn't troubled the scorers beyond the Round of 16 at any World Matchplay as a pro. So rather than embrace the hits and discard the misses, we should resolve that it is matchplay - with its capricious, one-off format contrasting sharply with the typical four rounds of strokeplay - which is the game-changer here. It's neither Poulter nor Reed. Just ask Sir Nick Faldo, the man who ignited Poults' Cup myth by contentiously selecting him as a wide-eyed wildcard for the 2008 renewal, who admits that there wasn't much insight behind the selection. "Look," asserted Britain's greatest golfer, "he was fiery and feisty. He came second in The Open. And his best mate was Justin Rose who can make anyone look good in pairs." 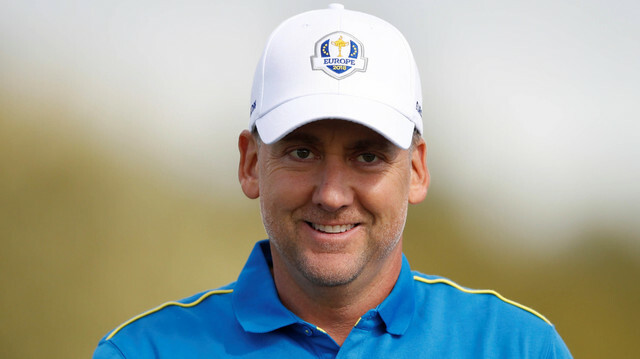 Poulter has definitely got by with a little help from his friends. While Reed has been carried in many of his fourball/foursome outings by a Spieth at the top of his game. Today's Spieth, who even failed to qualify for the Tour Championship's top 30 players last week, is hardly in similar shape for this year's renewal. Remember, these guys are all-time goods, not greats. Even if a limited sample of Ryder Cups begs to differ. Poulter and Reed should be praised in accord. Not in excess. Their games are currently exploring parts of the course where only portaloo companies dare to tread. So for my money, they are the ones to oppose or at least dismiss from your calculations in every scoring market (from Top American/Top European to Wildcard) where they're priced far too near the helm of the betting. There's an inherent danger to making your name in a fickle format which is no respecter of reputation. Very few people can maintain the charade in this transatlantic tussle. So, for these rounds of roulette at Le Golf National, I say rien ne va plus for bets on Messrs Poulter and Reed.